Probably encouraged by Samsung and Huawei after they showcased their foldable smartphones the Galaxy Fold and Mate X respectively, Oppo has teased what a foldable device from the company may look like. The images of the handset were shared by a senior Oppo executive of on Chinese social networking website Weibo. 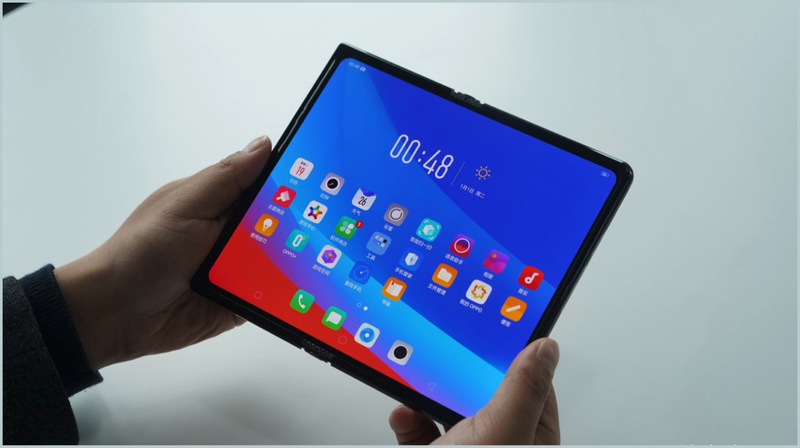 The foldable smartphone from Oppo was unveiled in a set of images which reveal the device in its full glory. 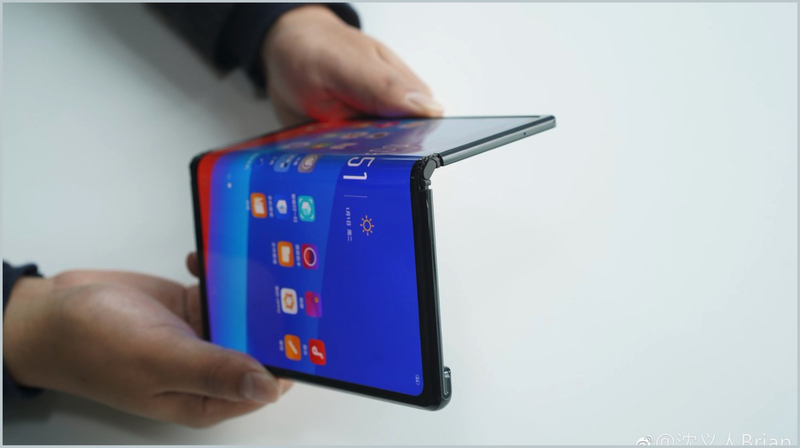 Unfortunately, the company didn’t provide any specifications, launch date or the price of the foldable device. 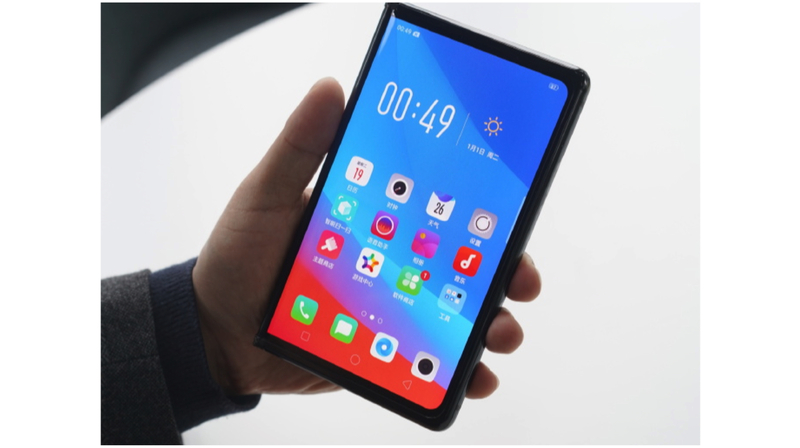 The Oppo smartphone due to its outward folding display is reminiscent of Huawei Mate X. It features a futuristic design with a glass front and a metal back. The large OLED display on the front can be folded outwards to create two individual displays. Like the Mate X, the device also has a display housing on the left side of the device. The rear metal halves are consolidated with the help of a flexible rubber like material that provides the device with its foldable characteristic. While the specifications of Oppo’s foldable smartphone are unknown as of now, it is expected to run on the latest Snapdragon 855 SoC which is manufactured using 7nm fabrication process. The chipset is comprised of an Octa-core CPU and Adreno 640 GPU. The image also suggests that the device will feature a dual camera setup. It is also expected to have screen mirroring feature which will allow the user to utilise the rear display as a viewfinder. The UI of the device affirms that it runs on Oppo’s ColorOS, which is likely to be built on top of the latest Android 9 Pie. 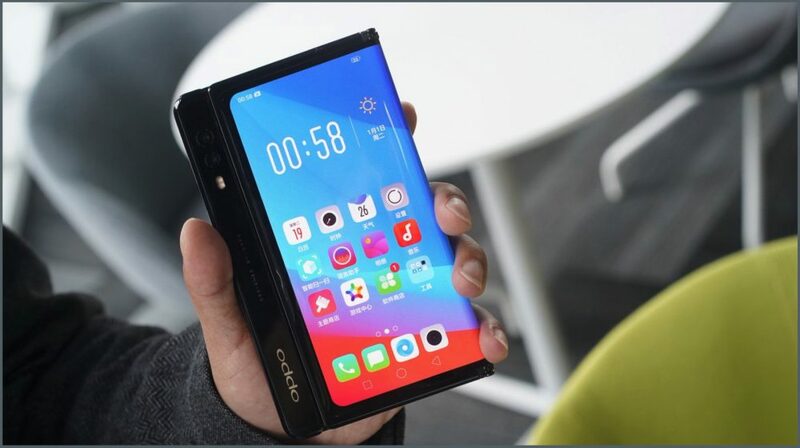 The executive also cited in his post that the foldable smartphone from Oppo will only be mass produced if the company sees a lot of demand for the product. This may be the reason for sharing the images in the first place. Therefore, it is not certain if the device will ever see the light of the day.